One way to know your local food is naturally to visit regularly the local supermarkets. 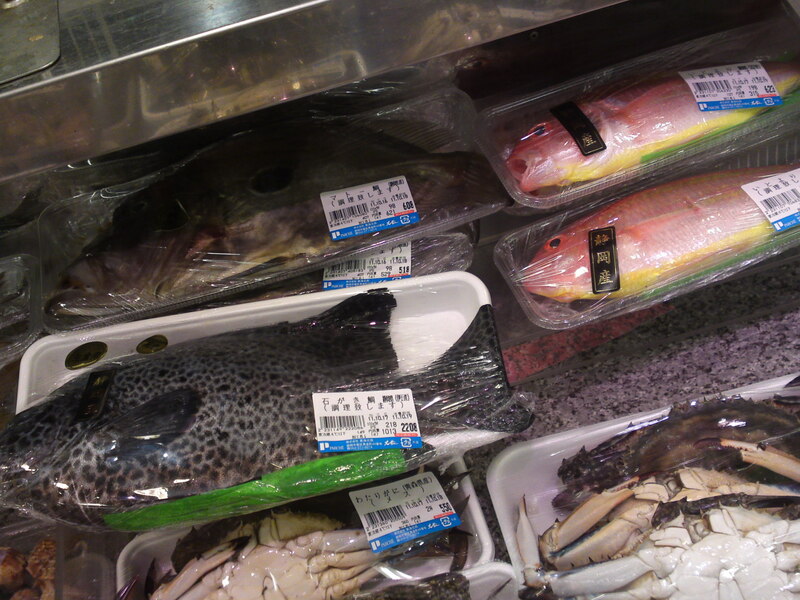 In Shizuoka City we are blessed with a fantastic, maybe not in size but certainly in variety and quality, supermarket inside the JR Station Parche Building. Now, this is the place to study all about the local (and from other shores!) 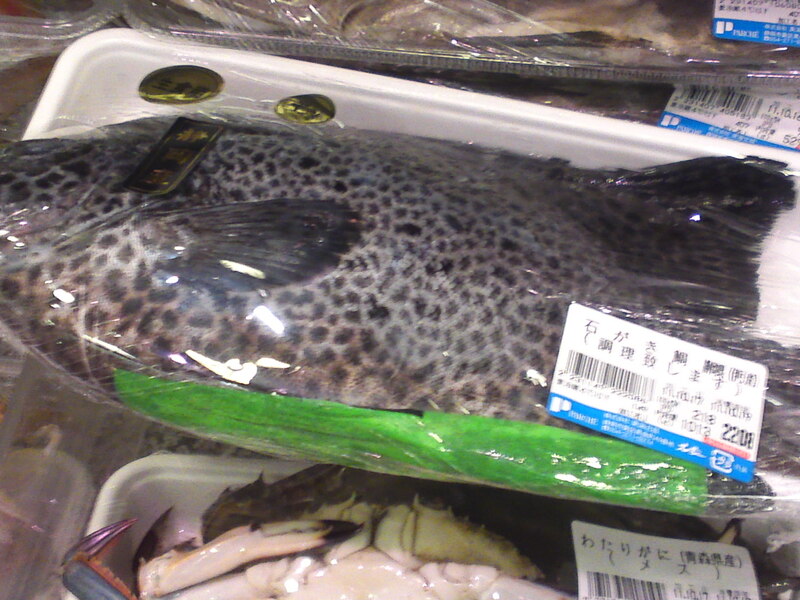 marine life that will find its way onto your plates! 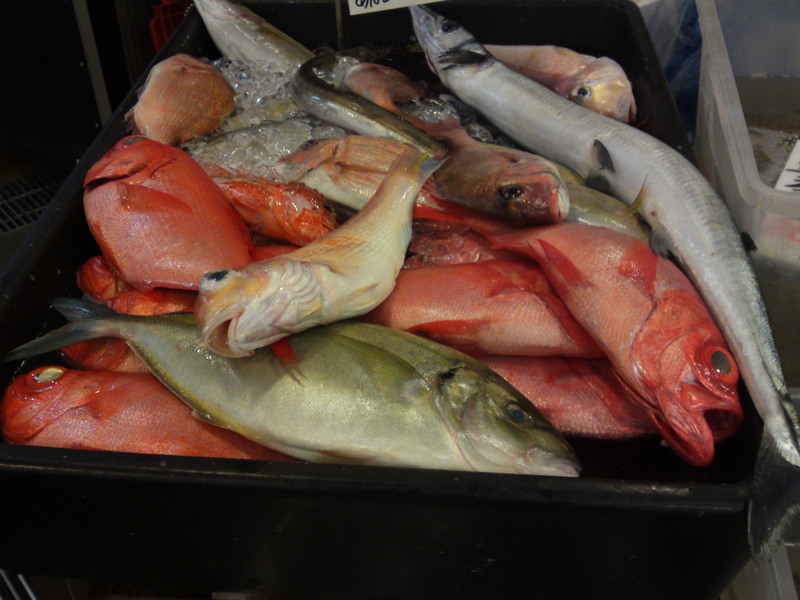 I do make regular visits just for the joy of it, so let me share with you the photographs of exclusively local seafood caught in the Suruga Bay or around the Izu Peninsula! Click on pictures to enlarge and copy them! 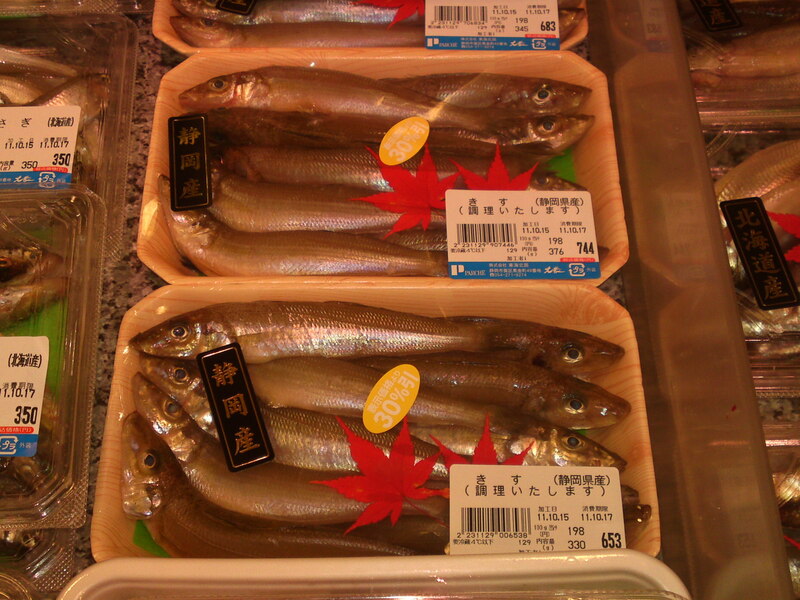 Front: Ma-aji/真鯵/True Horse Mackerel. Left, top, Aka Shita Birame/赤舌平目/Red Sole. 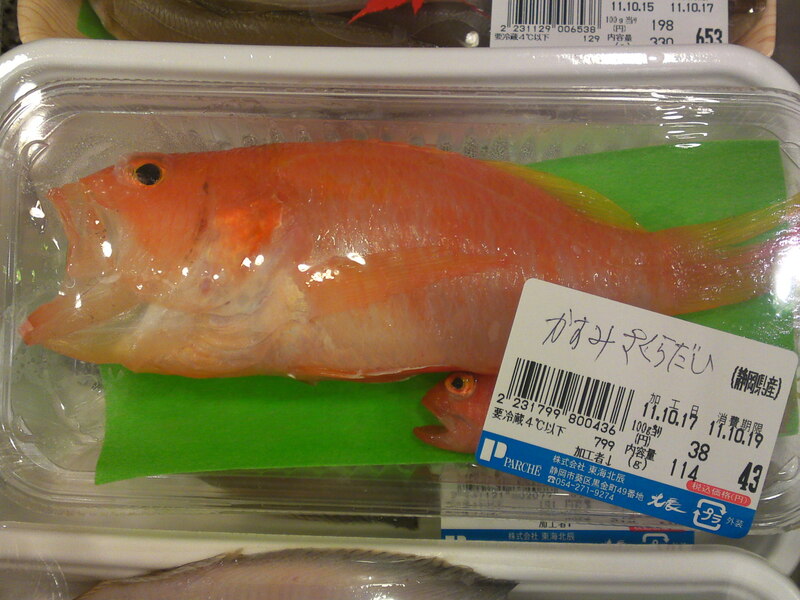 Right, top, Kinmedai/金目鯛/Splendid Alfonsino. 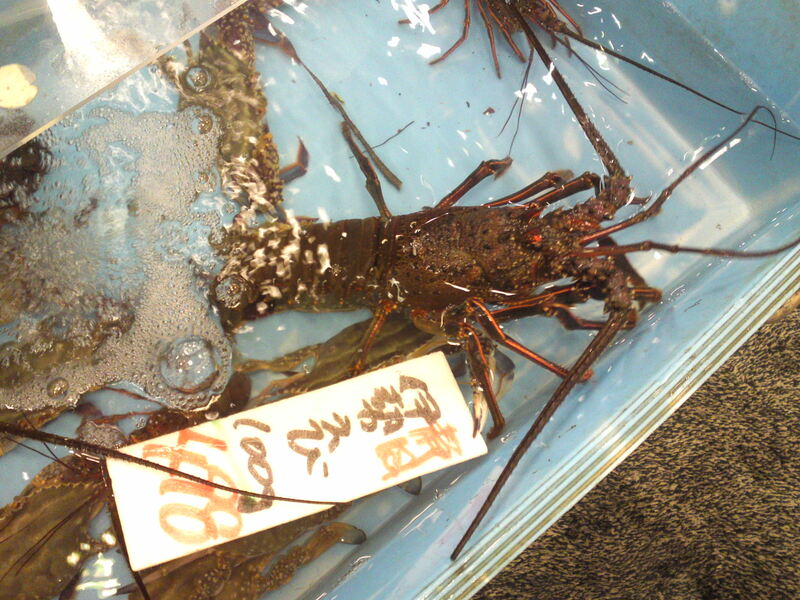 Enormous (and expensive) Isei Ebi/伊勢海老/Spiny Lobster! 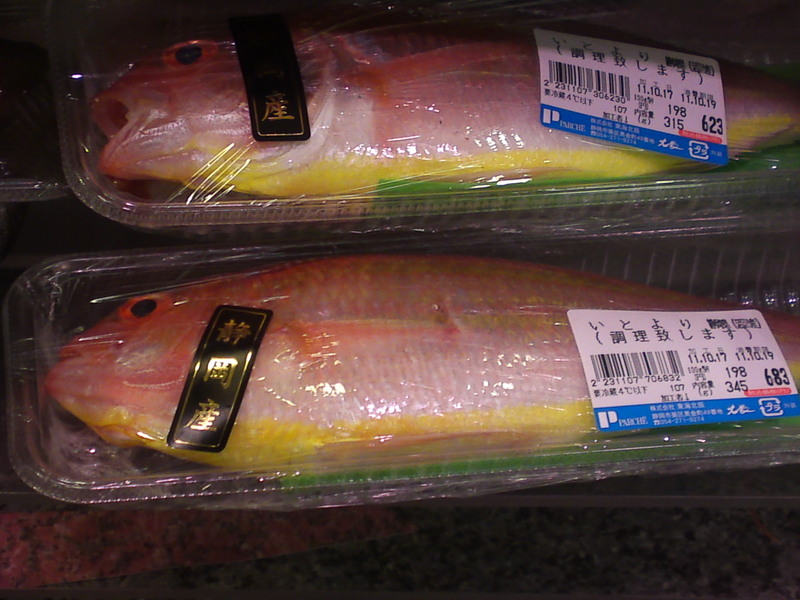 A closer view of the Itoyoridai/いとより鯛/Golden Threadfin-bream,Besugo! 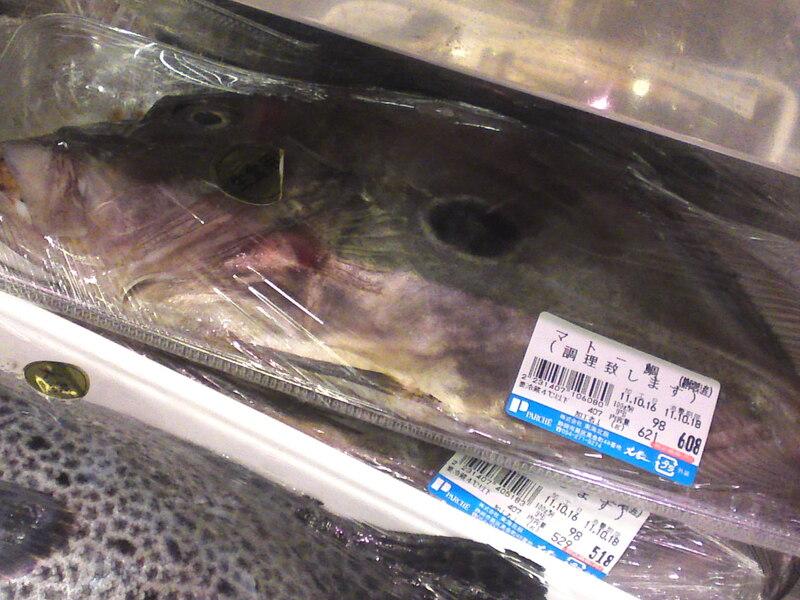 A closer view of the Ishigakidai/石がき鯛/Spotted Knifejaw! 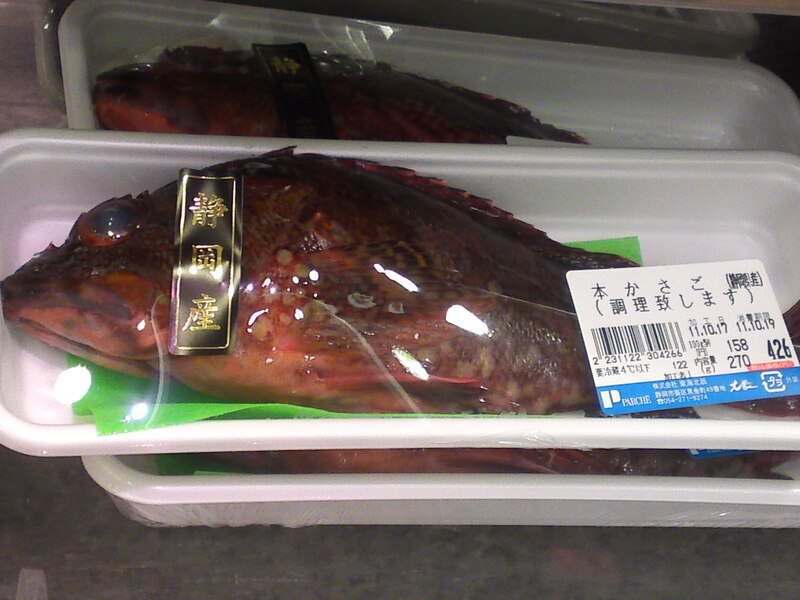 A closer view of the Matoudai/まとう鯛/John dory! 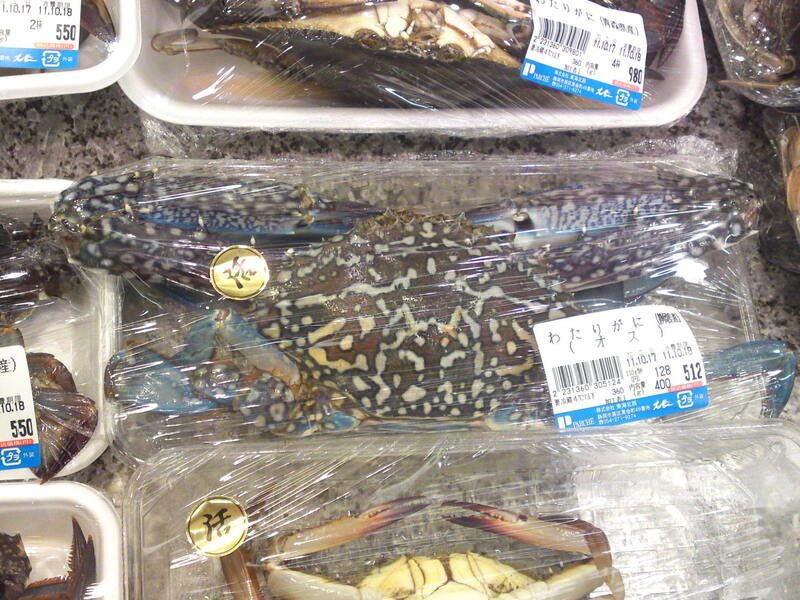 Watarigani/わたりがに/Gazami Crab, Blue Swimming Crab! 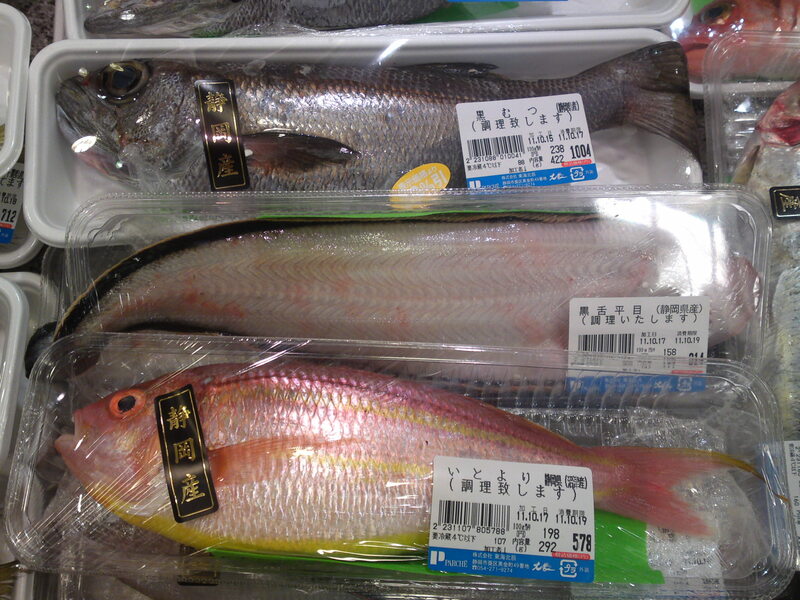 From bottom top: Itoyoridai/いとより鯛/Golden Threadfin-bream,Besugo. Kuro Shita Birame/黒舌平目/Black Sole. Kuro Mutsu/黒むつ/Japanese bluefish, Bigeye. 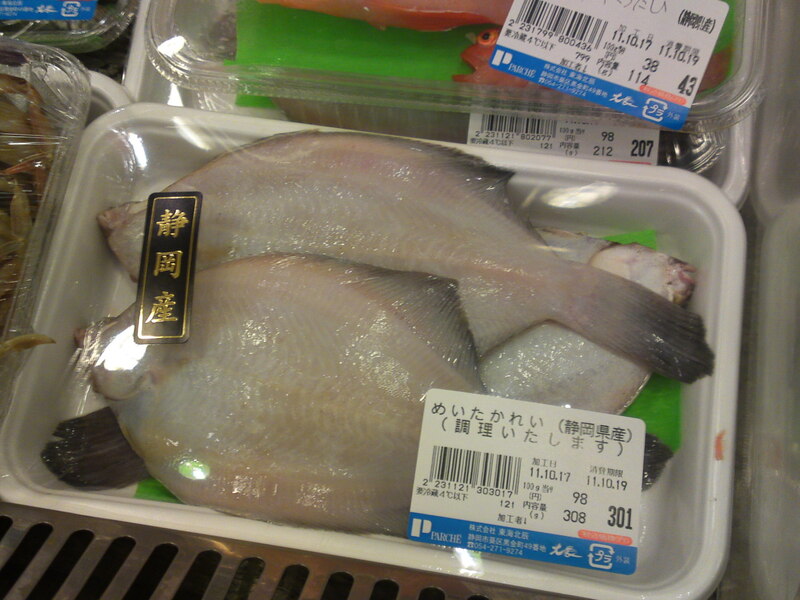 Very cute Kasumi Sakura Dai/かすみさくらだい/A variety of (Kasumi Sakura) Seabream found almost only in Suruga Bay! 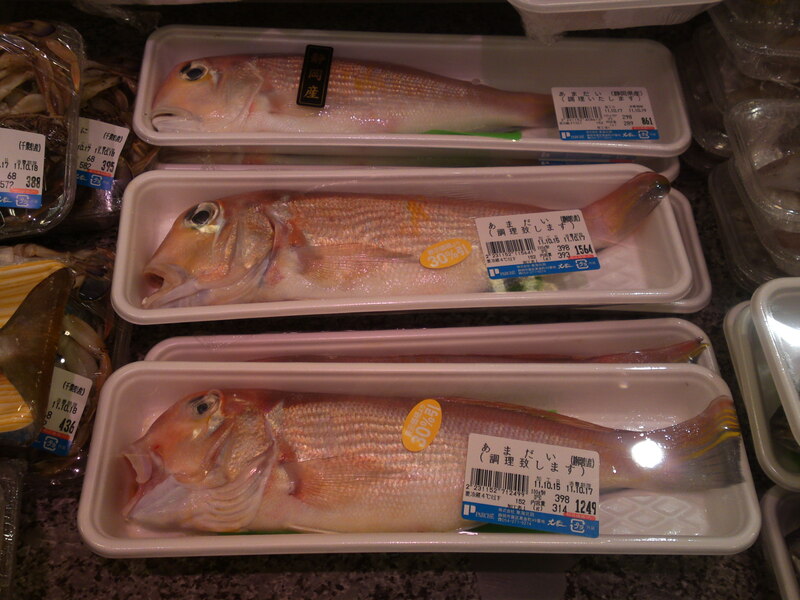 Honkasago/本かさご/True Rockfish, Marbled rockfish, Scorpionfish. Finally, the pride and joy of Shizuoka Prefecture! 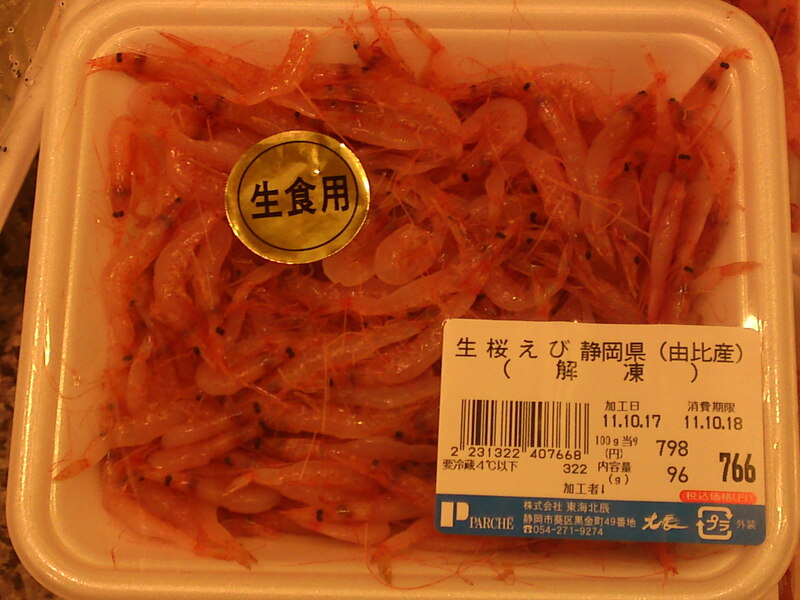 Sakura Ebi/桜海老/Cherry Shrimps, just back in season! Previous PostSashimi Appetizer Plate at Tomii (October 2011)Next PostSushi Restaurant: Atsu in Shizuoka City! 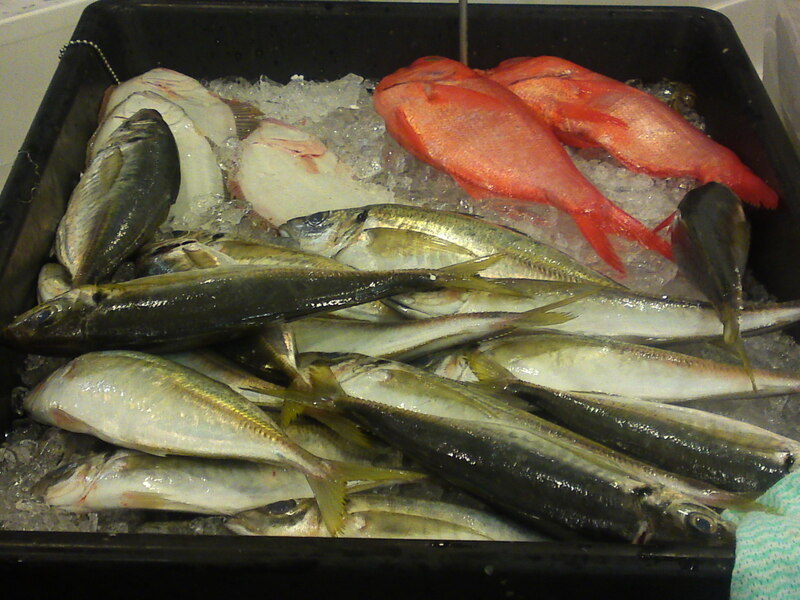 I’ve never seen so many different kinds of fish in one place before! The kasumi Sakura seabream looks especially yummy. The fact that the all the fish are concentrated in one place makes it impressive!